With news headlines fixated on trade wars and border walls, it might seem the planet’s cities are turning inward and stepping backwards. Nothing could be further from the truth. 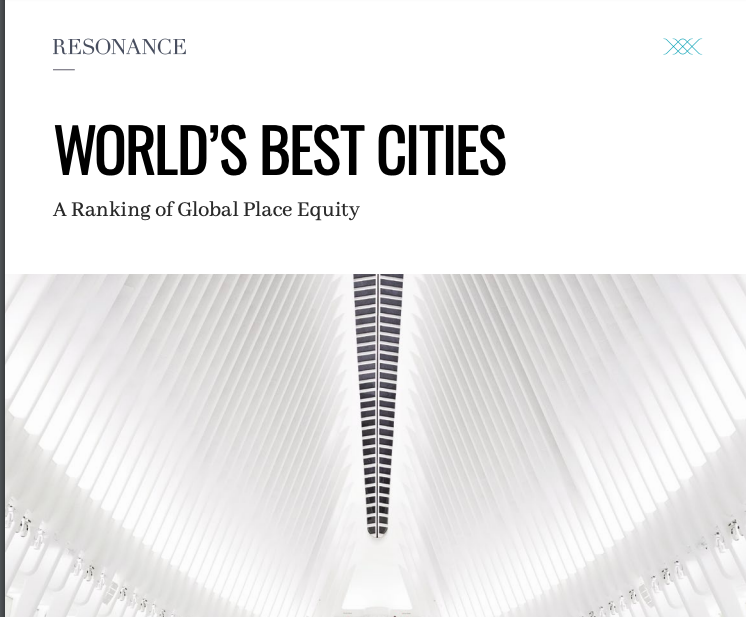 This latest World’s Best Cities Report from Resonance Consultancy offers incontrovertible proof urban areas are extending their reach— responding to the challenges of the 21st century with innovation, creativity and verve. The evidence can be found on every continent. Image courtesy of Resonance Co.